Last year, same Ben Affleck made headlines when he opened up about his card counting scandal, candidly admitting he does use the skill to win and that the house does not like it. He made it clear he loves his casino and as such, he is a popular face at Vegas. Perhaps, now that he has started given high profile congressional testimony, he would stay away from the Vegas card counting moves and begin to use online slots in the comfort of his home. 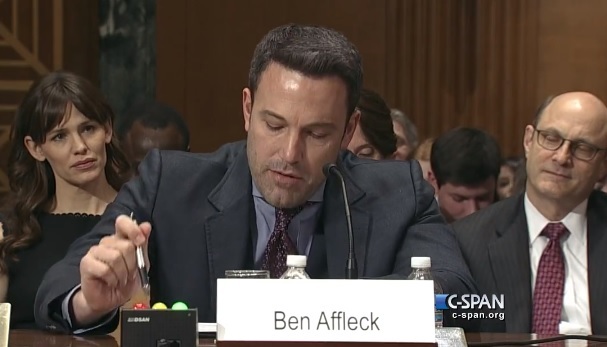 Ben Affleck is the founder of Eastern Congo Initiative, an advocacy and grant initiative focused on helping communities in eastern Congo and therefore he was called to give testimony on diplomacy and national security at The Senate Appropriations Subcommittee on State, Foreign Operations and Related Programs. When Affleck was addressing the ranking members of the panel, he turned to Vermont Sen. Patrick Leahy and said, “I would be remiss if I did not acknowledge my costar in Batman. The role is marginally smaller than mine, but I understand that you are quite good.” Leahy laughs. As we you may already know, Ben Affleck is starring as Batman in next year’s Batman v Superman: Dawn of Justice, but Leahy is a known Batman fanatic who has appeared in cameos in previous Batman films. And this sort of confirms that Leah will be joining him once again on another Batman adventure.